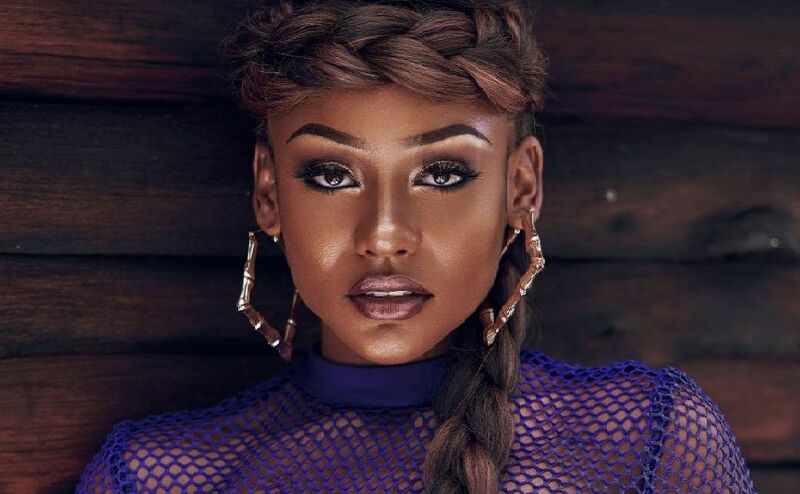 Nailah Blackman nominated for BET award The 20-year-old granddaughter of Trinidad's 'Father of Soca,' Nailah Blackman's catchy Caribbean compilation has won support across the region. 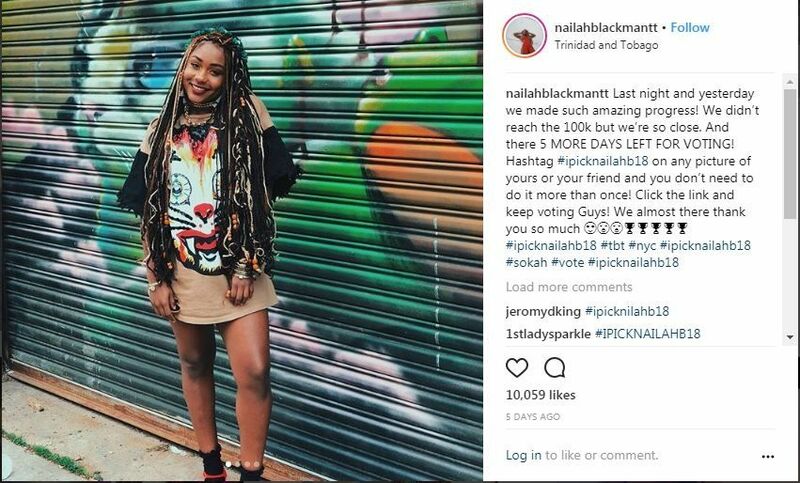 Music lovers from across the continent have embraced young Caribbean artist Nailah Blackman and may yet win her Black Entertainment Television's (BET) Viewer's Choice: Best New International Act. The 20-year-old granddaughter of Trinidad's 'Father of Soca,' Lord Shorty (Ras Shorty), Blackman has emerged as the only Caribbean artist nominated to the BET 2018. "As of right now, there are two clear favorites in the running for Viewer's Choice: Best New International Act, Nailah being one of the two," show manager Anson Soverall told Newsday. The catchy compilation of Caribbean beats has received support from across the region, from French- to Spanish- to English-speaking populations. "It seems as though the other competitors have given up. You are not seeing their supporters actively pushing and voting, so I think there is a very high chance she will take it home the award," Soverall said. "From Trinidad in particular, it has been overwhelming. We are actually seeing where people have just rallied and have been motivating other people. They are also just stating the information we put out on social media platforms and passing that information on. It has been really good to see." Other artists such as Machel Montano, Patrice Roberts, Bunji Garlin, Rupee and Tarrus Riley have also shown their support. The final winner will be announced on live television June 24. Currently, Blackman is leading on Instagram with 272,000 fans carrying hashtag #ipicknailahb18 on the BET international IG page. Among the other top contenders in her category are Brazil's MC Soffia; Niniola from Nigeria; the UK's Not3S and IAMDDB; France's Prince Waly and TaKEAMIC; South Korea's SIK-K; South Africa's SJAVA, and Kwesi Arthur from Ghana. Nailah Blackman has been nominated for a BET Award (Viewer’s Choice). The young singer/songwriter/musician who has been performing all around the world since after Carnival is among the 10 artistes in the running for the Best New International Act Award. These artistes come from places such as Ghana, UK, France, South Korea, Brazil, Nigeria and are all among the top, most in demand acts from their respective countries. Blackman is the only nominee from the Caribbean. Members of the public from the world over are invited to vote for their artiste of choice by simply going to the website; https://www.bet.com/shows/bet-awards/bet-awards-international.html, follow the link to the relevant category and click on Blackman's photo. One can also vote on the BET International's Instagram page using the hashtag #IPICKNAILAHB18. The voter’s Instagram must be public to do this. The winner will be revealed on June 18 during the broadcast of the BET International Awards show. Since her debut on the soca music arena for Carnival 2017, Blackman has released several songs including, “Workout,” “Badishh (with Shenseea), “Dame Lorraine,” “O’ Lawd Oye,” “SOKAH,” “Dangerous Boy,” “Birthday Song (with Ding Dong)” and more that have become hits here and abroad. For the C2K18 season one would hear a Blackman song at any time on at least one radio station. Since Ash Wednesday, Blackman has been on the go performing in Guyana, Jamaica, St Lucia, New York, Miami, countries throughout Europe and other places where she has built quite a following because of not only her soca, but also her own eclectic brand of alternative music, which put her on the map before the soca breakthrough. Blackman took to her Instagram expressing her joy over the nomination, saying she is, “super excited” and this is a move forward for Caribbean music as a whole. Her manager, Lorraine O’Connor who has been at Blackman’s side along with her producer, Anson Soverall since last year told the Express that she herself is overjoyed to see Blackman reaping this measure of success after all the very hard work the young lady has put into her music and the touring. “After so many years of hard work promoting the music of Trinidad and Tobago and our artistes, this is just a great blessing. Sometimes you feel that your efforts are unappreciated by key people who can come across as ungrateful for what the artistes, musicians and managers do for the music. But now, I can say I’ve received a multitude of blessings having seen the success of artistes I’ve worked with like Calypso Rose, Machel and now Nailah,” O’Connor said.